happy birthday jules, can't you just taste that lecker cake..;-), bet you wish that you could be with your family for today as well. anneliese i feel your mother's heart, and would want to give a her a big birthday hug in person. lovely torte.....i made a chocolate one once, only once but i think that using the nestle would make it a milder chocolate than the cocoa i used, which would probably be better. i am assuming that it was the powder drink that you used...right? have a great long weekend. Thanks for posting these lovely tortes. I have made a few this year, my first attempt at a very fine art of baking. I have never made the chocolate one, it is John's mom's birthday next month and I will make one for our celebration. Hope that you have a wonderful day and best wishing to you Julene. Whoa! I can see the love in this cake. That's one special cake for your special daughter! A very happy birthday to her. 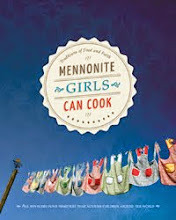 Oh Juleen, Happy Birthday from the Mennonite Girls that can cook. Oh you sweet thing .. .many many blessings to you this coming year. Anneliese, your tortes look so perfect. . I have never tasted them with chocolate pudding. . oh they look so delicious. . I just had to add . ."okay this was a lot of work the blogging part" Anneliese, I so understand that and it makes the appreciation so much greater for those of us who know the work that goes into blogging the recipe in such a professional manner. . you really are amazing .. in such a short time. wow, your blog made me cry, you put so much love into this cake, I have never attemted it, my mom has made it, and I know how good they taste. I love this blog, and as I've already told Lovella I have learned a lot of things. You are an amazing cook. A wonderful tutorial, Annaliese. I might even attempt this one of these days...my sis-in-law makes Napolean tortes and they are wonderful. You are getting close to my hearts delight! It won't take long and one of these days I will have to put you on speaker phone and walk me throught if I get stuck, as I try to make your Napolean Torte. You actually made it sound like I could almost do it. Of course you can do it, Marg ... but you can call anyways! Oh my...my beautiful niece from eastern parts made this before I arrived on the prairies last week. I was lucky enough to get a taste! Wonderful! I am hoping she is going to share a recipe or two with me (actually she has :).....so that I can post her baking. Thanks for sharing this recipe ...beautiful. Mom, tears filled my eyes as I read your post and saw the cakes you made! Thank you for making me a birthday cake and posting it. I love you ... and wish for the day when we can sit down and enjoy a piece of these torte together. Aw I remember my gran making this, but she alternated layers: chocolate, vanilla, chocolate, vanilla etc...Thanks for the memories, I think I'll make one tomorrow when the kids are at school! I've made this cake many times and learned it from an expert. One of the ways I make the rounds is roll out the dough on a cookie sheet, bake, and while still warm, I cut the rounds to size and crush the rest of the dough for the top layer. Thanks for the recipe. My mom and I made it recently for my birthday. Now that my grandma passed away the tradition has to live on. 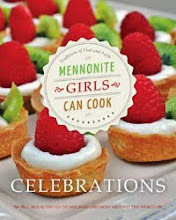 I don't do well with vague mennonite recipes. Love the instructions and pictures. Tastes yummy although I like a little more pudding. Thanks for the recipe. This is one of my favorite cakes that my mom made. Even had it for dessert at my wedding. It is also my dads favorite and am going to make it for Christmas dinner as my mom passed and the girls are now going to carry on the family dinner. Thank you. Hope it works out well for you! This is my sons favorite cake and he always requests it for his birthday. He is allergic to all dairy products so I have made it with soy, almond or coconut milk. It changes the flavor but it is still good. His friends all love it and have never tasted it made with cows milk. Love this recipe and it is well worth the effort. This looks so beautiful. I may try making this for my Mother on Mothers day. I wonder if I could use parchment paper instead of greasing and flouring the sheet? i always use parchment whenever I bake regular cookies. Janina, I have not tried parchment paper for this cake, but I did notice that Lovella, in her recipe in the cookbook, rolls her pastry out on parchment paper and lifts it onto the baking sheet from there. It is probably easier to transfer. 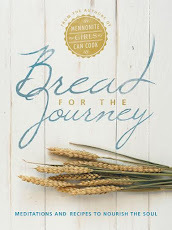 I'm away at that moment, so I do not have the book here, but I think you may still need to lightly spray the paper and also the counter to keep it from sliding as you roll it out or just line the baking sheet. Janina, I always use parchment paper and it works so well. No greasing at all. I sometimes roll right on the parchment paper. Just wet the underneath side to help it from shifting on the counter. Thank you Anneliese and Lovella! I think I will try the parchment and see how it works. This has been our family "birthday cake" for as long as I can remember (55+ years). My mom usually put sliced bananas between every other layer. So pretty! That looks like a very special cake and reminds me of a Ukranian layer cake/torte that my Brother-in-Law's sister makes - a recipe she got while in the Mission field there. Thanks for posting this recipe! My Mom used to make it, and I've often made it, too. It is a popular cake that is not too sweet. I use parchment paper to line my cookie sheets. I roll out the dough, then place it on my cookie sheet and cut out the circle right on the cookie sheet. This keeps the circle from getting lopsided in the transfer to the pan! Beat sugar and eggs well, then beat in the butter and milk. Combine dry ingredients and stir into first mixture. Turn dough onto floured counter to roll into a log shape. Prepare 3 large cookie sheets by greasing with shortening and sprinkling on one end with flour. Tip sheet slightly and tap so that flour covers evenly. No need to repeat after first use. Slice log into 12 even slices. Roll out each slice on floured surface and use an 8 inch dinner plate or bowl to cut circles. This is a very minimal amount of pastry to roll out – you won’t have much left over. If you want to make larger circles, divide the pastry into 10 slices. The first one is the hardest and then you can add the strips to the next one etc. I find that when you try to roll a circle you are using your biceps more than actually pressing the rolling pin. Use the rolling pin to roll up, lift and unroll onto sheets. Try not to move cookies with hands because you will stretch them – use a knife to unfold and if you have to move it over on the sheet, simply tilt and tap the sheet. Place2 cookies on sheet at an angle to fit. Bake at 400 F/200 C for about 5 min., until very light golden in color. Allow to cool on sheet until cookies harden, (5 min) then transfer gently, using lifter, to cooling rack. Re-use the same sheet, without washing, for next batch. Keep 3 sheets in rotation mode. Bake leftover strips (cuttings) to use for crumb topping. Fill with chocolate or vanilla pudding the day before serving. Bring 4 cups milk to boil (med. heat) in med sized pot, just below medium heat. Meanwhile, mix cornstarch, sugar, vanilla and 1/4 cup milk. Add egg yolks, blending them in well, then 3/4 cup milk, gradually, stirring to make a smooth, thick liquid. Just when milk starts to boil, stir in the egg mixture, using whisk and stirring hard until it comes to a second boil. Stir hard until smooth. Cool completely. Beat 1 cup whipping cream and mix with vanilla pudding. Add 1 Tbsp sugar, if needed. To fill the cake: Put a small amount (1 Tbsp) of pudding in the center of a flat serving plate. This is to keep the cake from slipping around while you try to layer it. Cover with first “cookie” with about ¾ cups pudding and repeat 5 times. Use the leftover pudding to cover the sides. Sprinkle cookie crumbs on top. Cover and refrigerate at least 10 hours. Better after 24 or 48 hours. Extra Hints: Cup side of cake as you spread the pudding, to help keep it straight. If the cookies are not very even, try to make up for it by the way you place them on top of each other – rotating fat end over skinny end etc. Cake may seem wobbly and layers may slip out of position in the first hour (until it settles and cookies soften). You can check the cake and make adjustments during this time. If it leans to one side, place something under one side of the plate to help balance it and keep it from shifting. I’m making it sound pretty complicated. Just trying to pass on what I’ve learned. Thank you for taking note of this. Just for clarification, every Friday we repost (highlight) a recipe we posted quite some time ago. This newly posted recipe is the same recipe posted on August 3, 2008 but now slightly re-done with photos and chocolate pudding option omitted. The older version will no longer be online, because this one takes it's place. I hope that makes sense. Have you had a chance to try it? I have never heard the translation of Blaettertorte as cake with leaves. I always thought that the 'blaetter' was not for leaves but the translation for pieces of paper, as in you need to roll the dough paper-thin! Either way, I plan on making this soon. Along with Zwiebach and Fleischperschki. Oh, so much to make, so little time. I like your translation better. Growing up in a German speaking home, I realize that Blaetter can be leaves as on a tree or in a book. I'm not sure what I was envisioning but to think of pieces of paper makes sense.